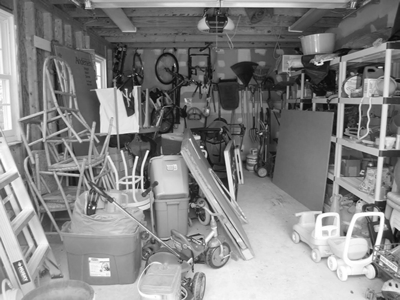 April is organisation month and we are focusing on organising your garage so that it can be everything it can be. A real opportunity to take the project on, and to see it through and reclaim your garage. One month from today, you could have a garage that is actually a pleasure to spend time in. A place where you can easily find what you need. A place where you can accomplish things: fixing something old, building something new, finding your inner peace, etc. Times change, seasons change and ideas change, so what we store and how we store it should change accordingly. Having a flexible organisation system is very important. StoreWALL can be the foundation of every wall storage and organisation project in your garage, workshop, gym or laundry. Tough enough to perform in any environment, our panels are waterproof, mould and mildew resistant and performance guaranteed. Plus, storeWALL panels are resistant to nicks, scratches and chipping! Storage and organisation at your finger tips! Further more, StoreWALL is easy to install with installSTRIPS, which attach easily to any surface. And accessories, let’s not fail to mention the storeWALL accessories! Accessories that are built rugged and look great; the storeWALL hooks, baskets and shelves are the perfect storage solution for all of your garage storage and home organisation needs. The exclusive camlok keeps the accessory, and your stuff, in place yet allows for easy repositioning. This includes dusting, wiping, sweeping, mopping, etc. And speaking of “organised” – take the time to organise your items. Group items together according to tools, lawn and garden equipment, sports and recreational equipment, automotive, seasonal decor, etc. Trash, donate or recycle items that are broken or haven’t been used in quite a awhile. Doing this step now will make the last step much easier. Measure your space! It’s important to know the exact measurements and the layout of the space that you’re going to utilise. Now is also the time to choose the desired colour of your wall panels and some accessories to at least get you started. Whether you’re a DIYer or you’re going to have a local installer/contractor install the panels for you, they need to be secured to the wall. We recommend InstallSTRIPS. Now for the real fun! Arrange your hooks, baskets and shelves on the wall panels and then organise your stuff on the accessories. storeWALL accessories are so simple to use that you can move them, change them or reposition them in seconds, yet they lock in place with the twist of the camlok. So, there you have it, getting organised in organisation month can be pretty easy. storeWALL can easily and quickly bring your garage to order based on your needs and personal style. So go ahead and tackle this project, storeWALL will certainly exceed your expectations. Oh, here’s one last important tip for after the project is complete in order to keep your garage organized and de-cluttered. Remember to put things where they belong after you’re done using them! A place for everything and everything in its place!